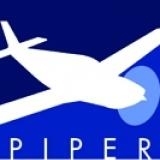 × Welcome to the Piper Flyer forum! I joined because I am going to get my PPL followed by IR. 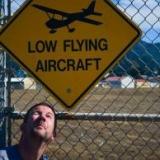 I decided that I wanted to buy an airplane to do my training in, but I am starting soon plane or not. I can rent a plane for training until I find one. I have a wife, 13 yo son, and 9yo daughter that will fly with me regularly (or so they say), and we will use the plane to take quick trips to the beach and to places that are farther than I like to drive but not far enough to buy a plane ticket. I have decided that my first plane will be a Cherokee 180. They seem to be the best mix of price, performance, cost of operation, and usable weight. They seem to be universally regarded as great trainers as well. I look forward to learning here. Your statement of " They seem to be the best mix of price, performance, cost of operation, and usable weight" is VERY accurate. I believe the PA-28-180/181s are the best "does everything pretty well and won't break the bank" airplanes in GA. Older (1980 or earlier) Cessna 172s which have been refitted with a 180 hp engine and a fixed-pitch prop are a close second. The only downside to the PA-28 as a trainer/first airplane is that they're almost too easy to fly. You can get away with being pretty lazy on the rudders. In my experience, flying beats driving when the destination is more than a 2.5 hour drive away. There's a lot of time spent to/from the airport, preflight, etc. Of course, that doesn't stop me from hopping over to the coast (about a 25 minute flight versus 1.5 hour drive) . I love flying over the beach and watching for whales. Fun way to introduce people to GA, too!